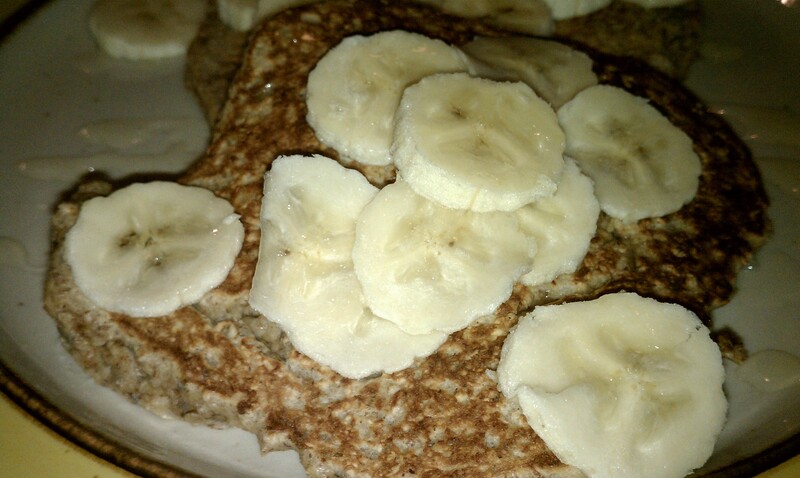 Instead of eating my oats from the usual bowl, today I ate my oats in pancake form! 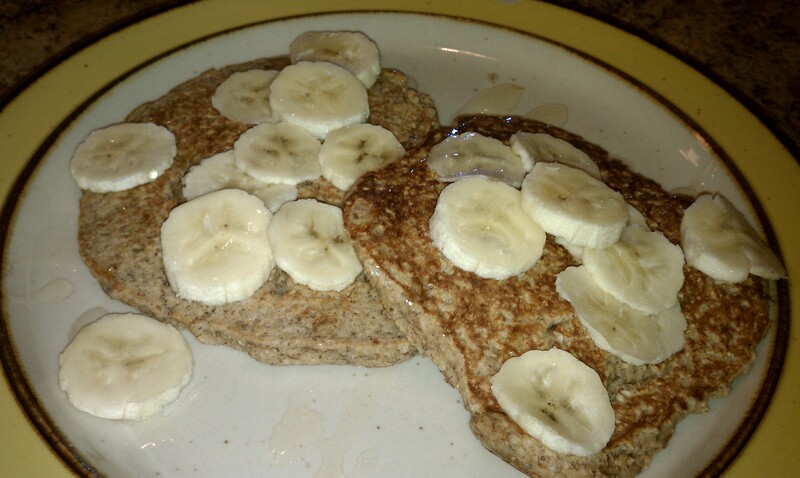 They may look very similar to my oatmeal almond butter pancakes… well they are. 🙂 These were nice though because they were softer, like real pancakes, whereas the oatmeal pancakes are more like a bake. Mix the first 7 ingredients together well. Pour into hot skillet sprayed with cooking spray. Flip pancake after it begins to bubble and cook until browned. Top with sliced banana and honey! These were absolutely delicious, but not quite as filling as I was hoping they would be, but it does take a lot to satiate me. What is your go-to breakfast to keep you satisfied?